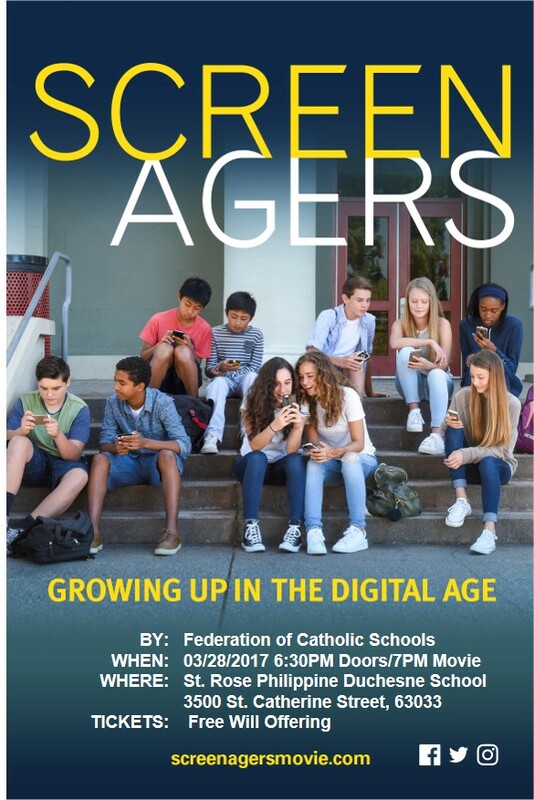 The Federation of Catholic Schools is hosting a free screening of this movie, followed by a brief Q&A discussion, on Tuesday, March 28th at St. Rose Philippine Duchesne School. Doors open at 6:30pm, movie will begin at 7pm. Parents are invited and are welcome to bring along their pre-teens and teenagers. Seating is limited, so please reserve your tickets today! 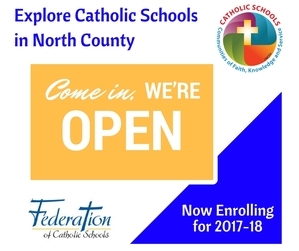 The Federation of Catholic Schools is thrilled to announce that our students will benefit from a $100,000 Academic Capacity Enhancement Grant from the Beyond Sunday fund of the Roman Catholic Foundation of Eastern Missouri. Each school in the Federation will receive a classroom set of Chromebooks and a charging cart, along with professional development for teachers to become proficient at using technology for blended learning and to enhance differentiation in their classrooms. Check next month's newsletter for more details about this exciting new collaborative program, enhancing educational excellence and the use of technology in our schools. 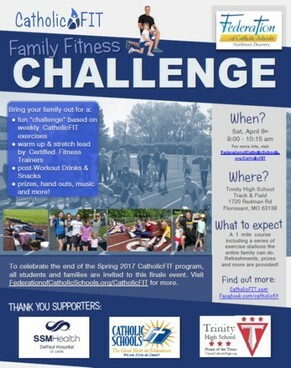 for the CatholicFIT Family Fitness Challenge! Saturday, April 8th, 9-10:15am at Trinity Catholic High School on the track. Dave Reddy, Fitness Trainer and CatholicFIT Creator, has been visiting PE classes at each school over the past few weeks. It's a unique opportunity for students to learn from a health and fitness expert and reflect on how their faith and fitness are connected! Check out this video of Reddy's recent visit to a 6th grade PE Class. Check out the front page of The e-Vangelizer this week - featuring preschoolers from St. Rose Philippine Duchesne school and their Stations of the Cross Bags. 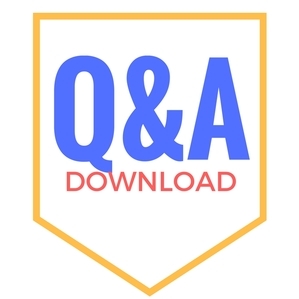 A memo from the School Oversight Committee representatives and a 16-page "Question and Answer" document was published last month. 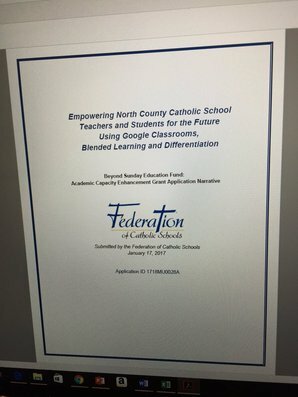 Please visit federationofcatholicschools.org/renaissance to view/download the document. Robotics Programs on the Rise! Several of our schools are stepping up involvement in robotics programs this semester, and looking ahead to next school year, too. St. Rose Philippine Duchesne Students finished 3rd of 16 teams in a SeaPerch underwater robot competition last month and were invited to a national competition in Atlanta, GA in May. (Check the St. Rose Parish bulletin for information on how you can support their fundraising efforts so they can make the trip.) Sacred Heart has also started Robotics with SLUH's Clavius Project, and St. Ann students will participate in that program next year. Several local scout troops also have robotics programs - if you have ideas for how the Federation can help schools collaborate with these Robotics programs, please let us know! Hey North County Cardinals Fans: TCHS Needs Your Vote! Our parishes and schools have many opportunities for prayer and service during this Lenten season. Visit our event calendar for information faith formation events, Stations of the Cross, Adoration and, of course, make your Friday Fish Fry dinner plans!